Recruitment can be a scary time for so many students. Many high schoolers aren’t sure exactly what to do during recruitment because they may not have had any family guidance or their family members were a part of the Greek system so long ago. Today I am going to be sharing a couple of universal things that most sororities are looking for during recruitment. 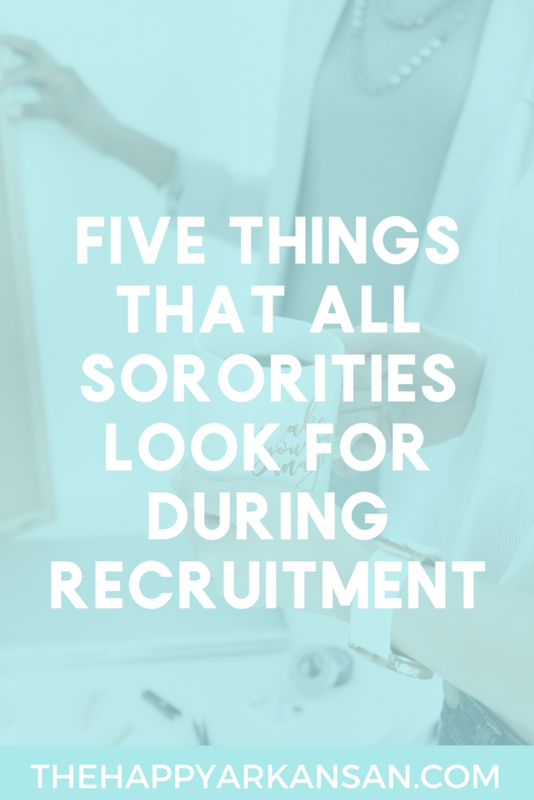 Once you understand these five things recruitment will seem a lot less scary because most of you already have these qualities, it’s just a matter of getting over the nerves and making sure the sororities see these qualities in you. Leadership potential in sororities is SO important because there are TONS of leadership positions to be filled in sororities. In order to fill all those officer and chair positions, sororities need to find members who are willing to step up to the plate. There are leadership positions for so many women but sometimes people end up filling two or more positions because a lot of people don’t want to step up. Women are busy with their majors or they may even lack the confidence necessary to step up. Play up your past leadership roles on your application. Ask about leadership positions during the recruitment process. If you do these two things you will be able to share your love of leadership with the sorority easily. Do this with many people that you meet during recruitment. You want to make sure that many sisters know how excited you are about potential leadership opportunities. Make sure that you are varying the ways that you ask about leadership opportunities. With one sister you may want to ask about the leadership opportunities outright, then with another sister, you may say “Oh _____, was just telling me about her leadership role as the chapter secretary, have you had any leadership roles in the sorority?”, then with another sister, you may want to take a more natural approach and ask her about what drew her to the sorority/see if leadership naturally pops into the conversation as y’all are talking. Being in a sorority can lead to a fuller social calendar, but that should never be your sole reason for wanting to join. There will be plenty of time for you to worry about socials with boys later as they will inevitably come up during chapter meetings. Right now, though, your sole focus should be on getting to know the women and making sure that you feel comfortable and can see yourself hanging out with them often. Sorority life is more than just social events with fraternities. Sororities hang out and have sisterhoods together, they bond over volunteer work, they do homework together, and so much more. You need to have a genuine interest in the totality of sorority life–not just one aspect. If you want to learn more about what they do on a day-to-day basis don’t be afraid to ask a sister what her favorite sorority event was. Don’t be surprised though if she still isn’t forthcoming about socials as she is trying to find a sister not a party buddy. Respect her wishes if she wants to tell you about another avenue of her sorority life and believe her as some people genuinely aren’t interested in the socials aspect of sorority life. I, for example, can probably count on one hand how many socials I went to throughout my time in my sorority. I went to far more sisterhoods than I went to socials. A chapter’s GPA is very important, but not only that you need to have a strong GPA. Most GPAs drop during the new member semester because the first semester in a sorority can be so demanding (most, but not all, mine went up by .2). To top it off, a lot of women are going through recruitment during their first semester of college so sororities are going off your high school GPA. If your high school GPA is low it doesn’t give sororities a lot of confidence that you will be able to handle your first semester of college plus a really demanding student organization. If your GPA is really great, highlight that because sororities are always looking for women who are academically gifted. At the same time though, the only time you really have to worry is if your GPA is below the minimum GPA requirement. I am sorry to say that having a GPA lower than the minimum is the first thing many sororities cut for–even if they love your personality. All is not lost though, if your GPA isn’t ready yet, take some time to raise it your first semester at college, try to meet different sorority women, and then go for a continuous open bid in the spring. Alternatively, you could go through recruitment as a sophomore and use the entire first year to get your land legs together. If your school does deferred formal recruitment, you are in luck as you will have a semester to work hard and raise your GPA by doing well during your first semester of college. Being a volunteer is a big part of sorority life. Whether you want to volunteer at a soup kitchen, by tutoring students at local schools, coaching a Little League team, etc. volunteering is at the heart of what sorority women do. During your time as a sorority sister, there is a big chance that you will have to submit a certain number of volunteer hours and those hours can take place with your sorority or outside of your sorority. If you love the philanthropy of your potential sorority that is also a really great advantage. The biggest advice I have is to be alert during philanthropy day. These women are sharing one of the biggest parts of their sorority with and you need to look at least mildly interested in the philanthropy they support. Once you are in the sorority there is a huge chance that most of your service hours can be outside of this philanthropy, but you will probably be doing a number of activities related to this philanthropy throughout your time in the sorority. Last, but certainly not least, sororities are looking for women who have strong values and women who are passionate about something. More than anything, this really means that sororities are looking for people who have a personality and aren’t afraid to show that to them through their conversations. If you are a huge Harry Potter geek, don’t be afraid to bring that up. If you are passionate about zoology, don’t be afraid to bring it up. If being kind is a big part of who you are, don’t be afraid to let that be seen. Sororities are here to help make you a better version of yourself. 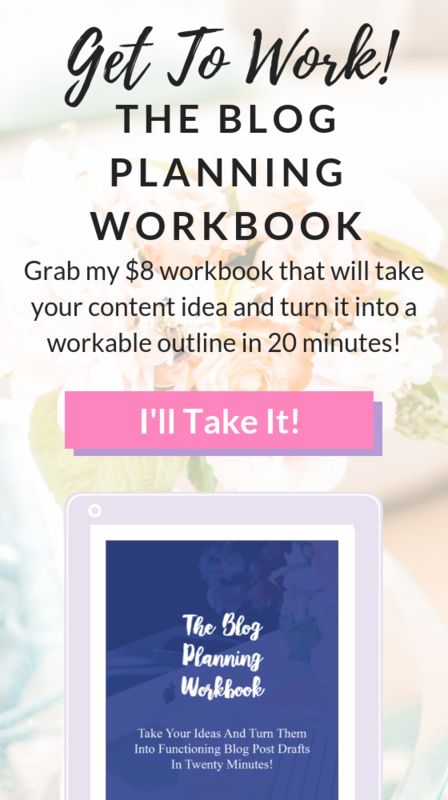 Having a strong value system and just sharing your passion with your potential sisters is a great way to get their attention. Passion makes you happy and that happiness shows in everything that you do. Take the time to make yourself more comfortable during recruitment by sharing your passion and values with your sisters. Sororities are made up of so many types of women and they all have their own passions and value systems. You never know who you are talking to during recruitment so by sharing your values and passions you could be talking to the person in the sorority who matches you the most. Even if that person doesn’t match you exactly, by sharing more about you they can figure out if you would fit in with the sorority or if they knew someone who would be perfect for you to meet. As you notice, I didn’t add looks here. Yes, there are some sororities out there that seem to fill their sorority based on superficial looks. Yes, even for sororities who don’t base their recruitment on looks, you want to look presentable and like you are trying at least a little bit during recruitment. 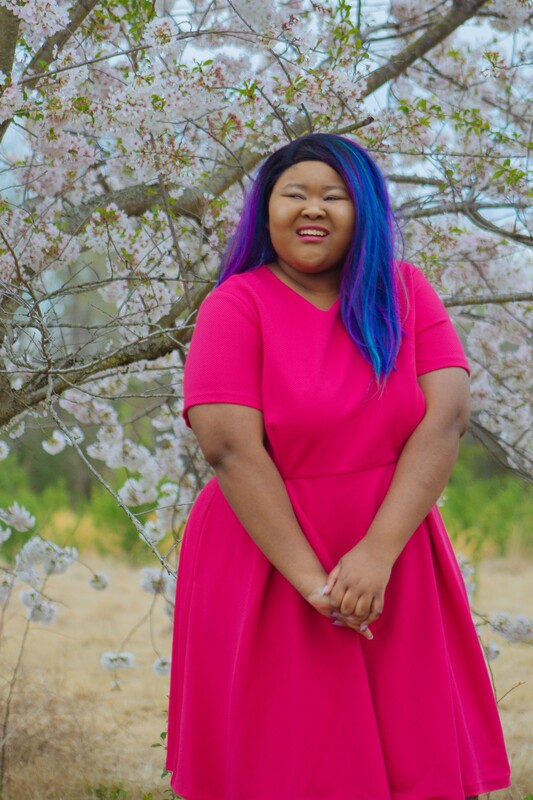 I have had a few posts on the blog about what to wear and how to look during recruitment on the blog in the past and there are so many resources out there that I highly suggest you check out. Check out my posts about fashion and beauty during formal recruitment here and here. I feel that these five topics are the best topics that you can focus on when it comes to what sororities look for the most. Looks can only get you so far in most sororities if you don’t have other things like leadership, volunteering, education, etc. to back it up. Overall, don’t be afraid to be yourself and to open up during recruitment. Recruitment week is your one chance to make an impression on these women and get a bid to join their sisterhood (for now anyway, you can always go through recruitment again or do a continuous open bid if you are dropped.) Don’t waste that opportunity being scared and shutting down. Practice your conversation skills and find ways to interject your personality into the conversation and into your recruitment application. I have so much faith in you that you will find the right sisterhood. Get ready to crush recruitment, yo!